If you haven't noticed that augmented reality happens to be a passion of mine and I love finding new ways to use it in my classroom. For my STEM class I designed a lesson that incorporates LED lights and augmented reality. My students will be designing circuits for cards that light up LED lights when an area on the card is pressed. Then they will be adding an augmented component to the cards. The augmented component could be a video message, a Christmas song, and or pictures. Anything that can be digital can be added to the augmented component. Try out my sample card. I used Blippar to build my augmented component so you will need to download the Blippar app to view the augmented part. In the settings within the app you will need to enter the code (17117). To get to the settings click on the button at the bottom of the screen and then the gear. Then select "Enter Code". 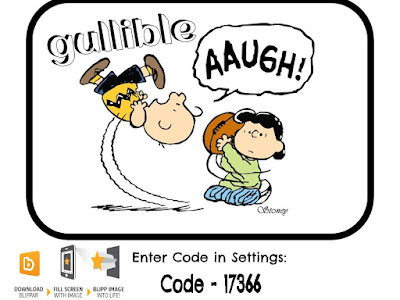 Once the code has been entered then scan the image below. Turn up your sound and enjoy. In the augmented part of my card is a how to video on how to make the card with LED lights. Augmented reality is a powerful tool that can bring the world to our kids. Instead of bring the world to them why not bring the universe to them. Let them explore space, planets, comets, and stars. Lets change a students perspective of how they see the universe using tools such as Star Walk, NASA's 3DV, Chromville, Quiver, and AugThat. I use these tools at home with my own kids. We love to sit around the backyard fire pit star gazing via Star Walk. 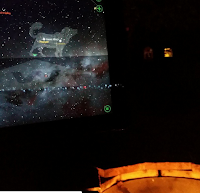 How powerful can it be to turn your classroom in to observatory with a simple augmented reality app. Use augmented 3D models of the planets, or transform your classroom to one of NASA's launch platforms. With the unit Exploring Space I've paired up my favorite augmented reality apps together. I've included Quiver's Moon phases, Chromville's solar system color sheet and their The Spatial Hitchhiker. The color sheet works with Chromville's Science app which is currently available for Android devices, the iOS version will be out very soon. The Spatial Hitchhiker can be used as a journal or a creative writing project. With the launch of Chromville's World they also launched several educational resources. You do need to be a member in order to download the additional content. Chromville has activities for Living Things, Earth, and the Human Body. They just added a Thanksgiving "I'm Thankful" ChromTurkey, which looks really cute. I did ask and Chromville will have an activity for Christmas as well. Quiver also has some new science pages come out soon. The education team at Blippar has also developed a Solar System trigger which I've included in the unit. I've even included a trigger I created to go along with this unit called Your Weight on Other Worlds. At the end of the unit I've even included the standards. I have been asked to give a example on how I would use augmented reality in a elementary science classroom. So I developed Let it Grow. I compare augmented reality like a pair of shoes. You are going to use the pair you need when you need it. For this mini unit on plant growth I am using not one but three augmented platforms. Blippar education department has developed a augmented plant growth simulator, and they have given me permission to share it with you. 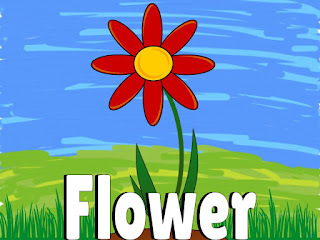 Quiver has developed an augmented coloring page over a plant cell, and AugThat has tons of augmented 360 environments. I put the three together and created Let it Grow. 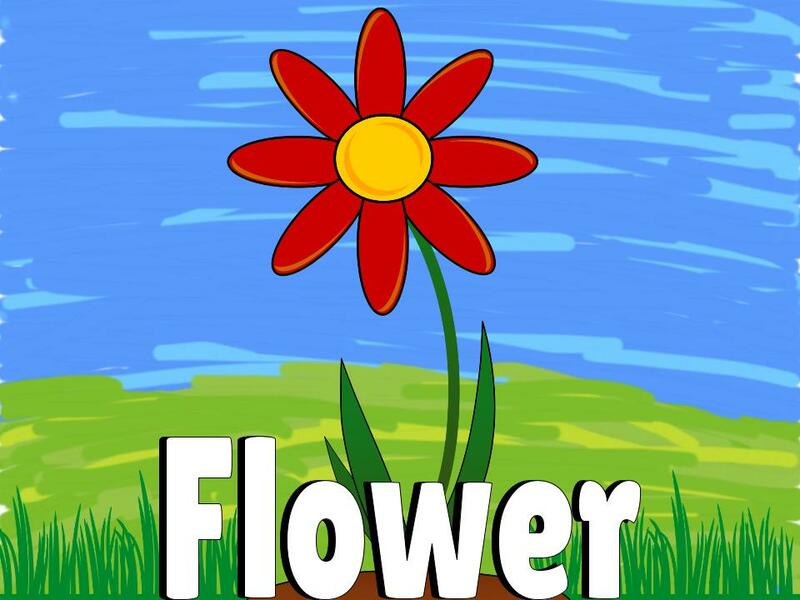 In this unit you will find links to resources as well as Blippar's Sunflower trigger and a trigger for an augmented word wall which I am creating. To get access to a sample of AugThat's 360 environment triggers please fill out the 1 Million Students Form. Teachers get blown away when I show them ways that they can incorporate augmented reality content to their classrooms. I get asked all the time to give examples of how they can you use this tool to engage their students. A fun engaging way to add augmented reality is to build an augmented word wall. I am currently working on one for Charlotte's Web. Using the self-publishing BlippBuilder tool by BlipparEdu I took a handful of words from the book Charlotte's Web and added a little augmented reality. 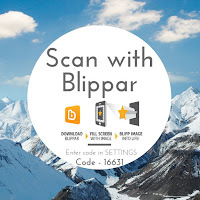 You will need the Blippar app. 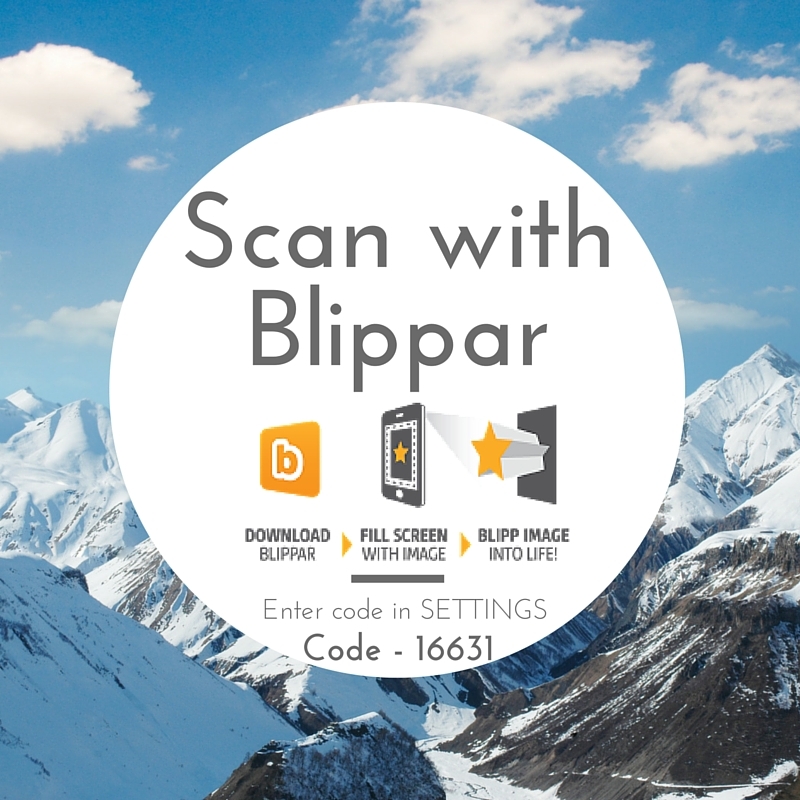 In the Blippar app settings (looks like a gear) you will need to enter the code 17366. Then scan the above image. Turn up your volume! Augmented word walls are a great way to add differentiation to a lesson. With this trigger I have it set to auto play sound. I've also loaded a animated video that I created, and a link to the definition. This way I can reach the student that needs to hear it, the one that needs to see it, and the one that needs to read it to understand. These triggers don't necessarily have to be on the wall you could have student adhere them to their vocab notebook or journal. Adding these triggers to notebooks can also make them an interactive notebook. I've been trying to share some augmented lessons and activities. 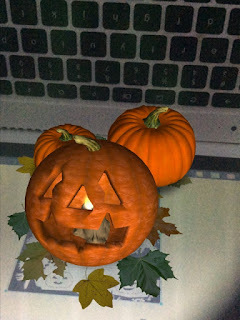 I will be posting more in our Augmented Reality for Education Google Group. Feel free to join the group, connect, learn, and share with others. When I started this campaign on Oct. 18th, less than a month ago I wasn't sure how I was going to reach 1 Million kids through augmented reality, but I knew I just had to try. I've shared my goal via my PLN and social media. Thanks to an amazing group in my PLN the word has gotten out. I am thrilled to announce that we have recorded reaching about 242,000 students using augmented content. A huge thanks to AugThat, Quiver, Chromville, BlipparEDU, and Aurasma's for their augmented reality tools. I know there are more out there using augmented educational content, so please fill out the form so I can track how many students are being reached via AR. In less than a month we've recorded about 240,675 teachers and students using AugThat's amazing augmented educational content. 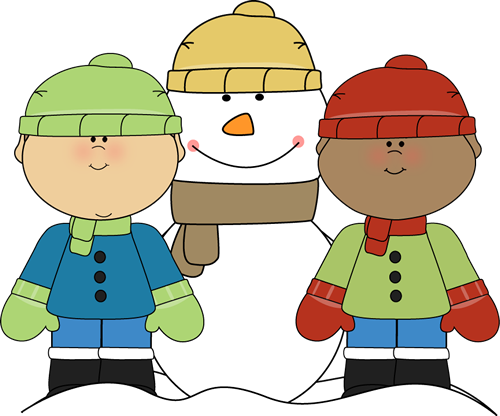 Around 700 students have been recorded using Quiver and around 350 using Chromville's augmented coloring pages. The reset have recorded using Aurasma, Blippar, and even Google Cardboard VR apps. Thanks to amazing teachers such as Cynthia Dagnal-Myron, Amber McCormick, Sandra Allen, Myra Deister, Heidi Samuelson, and Dianna Bandhauer for giving augmented educational content a whirl. You truly have made a difference! Augmented educational content can really change how students learn. It can bring the world to your classroom via 360 environmental augmented triggers and 3D augmented triggers. It can reinforce a lesson, content, concept, or introduce them. Augmented reality can bring learning to life in ways that engage students well beyond a worksheet or textbook. Students learned that it was easier to scan their pictures if they placed the paper on their chair than if the paper was on their desk. The kids LOVED that the trigger was someone they were familiar with. Using a friendly face of one of our student ambassadors made all the difference in the world. If you have a slow network try not having all 20 kids scanning at the same time. When I first learned about augmented reality about 4 years or so ago, my mind went crazy thinking of ways I could use this mind blowing tool. 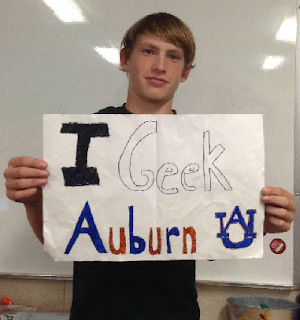 One of the 1st projects I did with my students I call iGeek. It is a way my students can show off their passion and what makes them who they are. I've been doing this project for four years and it was actually the 1st project I added augmented reality to. At the time I used Layar as the augmented platform. I had to pick between Aurasma and Layar. I went with Layar because I could load more than 1 trigger image into a campaign. With Aurasma I had to use the same iPad that I used to create to see the augmented content and that wasn't going to work for me. I hung the trigger pictures like a photo boarder in my classroom. With Layar you can only keep projects alive for only a certain period of time. When I 1st started it was a year and it changed to like 60 days. Our 1st augmented iGeek projects have since closed down but the trigger images remain on my wall. This project has become a legacy project. Which I wouldn't have even dreamed it could be so special to kids. Kids come in and always look for their older brother, sister, cousin, or family friend and comment that they can't wait to be apart of the project. Last year I tried this project with Daqri but it just didn't quite work. When you have 40+ students that participate in the project and you are only allowed 25 trigger objects alive at one time just didn't fly. This year we are using the BlippBuilder to create our augmented experience and we added an element to the augmented content. 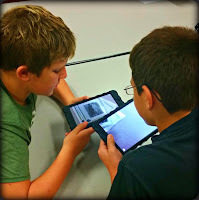 I recorded the students as they presented and we added the recording to the augmented content. When the trigger image is scanned their interactive presentation pops into their hands and a button to watch their video also appears. The bonus is these trigger images will stay alive as long as I need them to. The double bonus now future kids can hear for themselves why a certain kid geeks what he or she geeks. 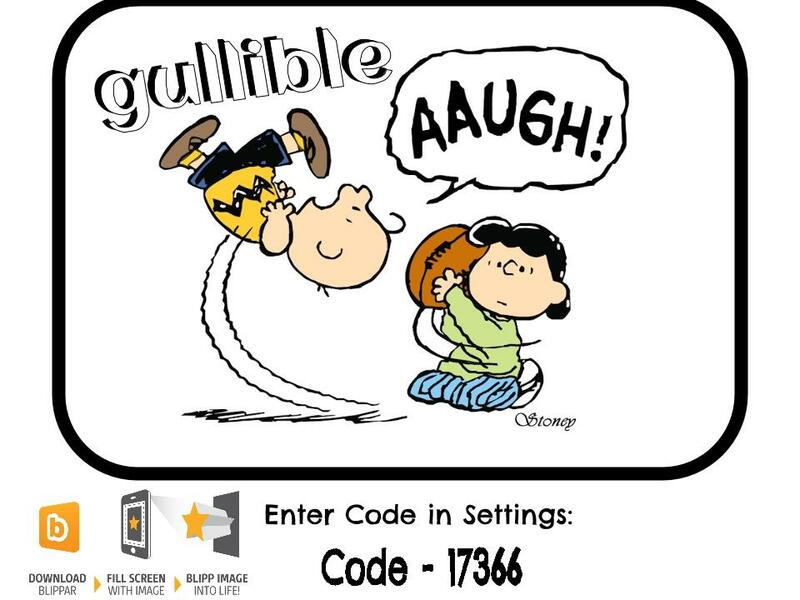 I do have next to the photo boarder the instructions on how to use the app and the code they need in order to see the augmented content. My goals is to help fuel their passion and to continue to follow their dreams. You never know where your dreams will take you or who you touch along the way. Sign I put next to the photo boarder. 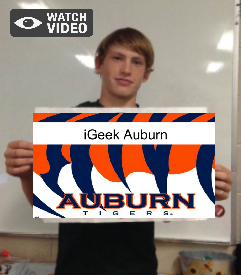 You can click here to see one of our 1st augmented iGeek projects. To accompany the Mayflower Augmented Writing prompt, I've created the 1st Winter Augmented Writing prompt. This lesson plan/activity has 3 Kagan structures to go along with AugThat's 360° augmented environment trigger "Winter Forest by the shore". 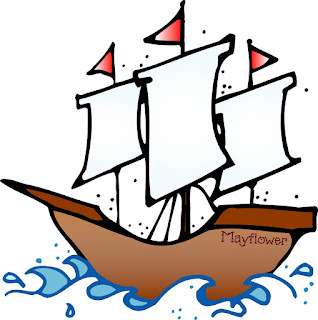 You could use this writing prompt with learning about the 1st Thanksgiving or the 1st Christmas for the pilgrims. To get access to this trigger to use with these activities you will need to fill out AugThat's 1 Million Kids form or have access to their 360° Environments. My school uses Kagan structures which then the question gets asked "How can I use augmented triggers with Kagan structures?" Augmented triggers are just another tool that teachers can use to introduce a new concept, idea, lesson, deliver content, and etc... It is also a tool that gets kids thinking outside the box. It isn't just another worksheet passed out and we say here solve the problem, or text in a book and we direct them to read it. It is a tool that gives our students and our teachers an experience. Studies have shown when we tie emotion and when we are activity engaged we are learning. Augmented triggers do just that. When you tie augmented reality to learning structures such as Kagan structures the possibilities are endless. I modified my augmented scavenger hunt "Riddle Me This" and included two Kagan structures to use with it. (Rally Coach and Sage & Scribe) What I would love to do is also augmented the structures themselves to include video or animated examples of how to use the structures at different grade levels. When they have over 250 structures a teacher and or student could get lost or confused. Having an augmented poster or image tied to examples and video demonstrations would be very helpful especially for us visual learners. 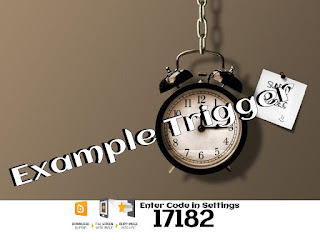 You can use augmented triggers to guide students to solve riddles, math problems, learn more about historical figures or events, and so much more. To give you an idea how to use augmented triggers in a scavenger hunt setting I created "Riddle Me This". 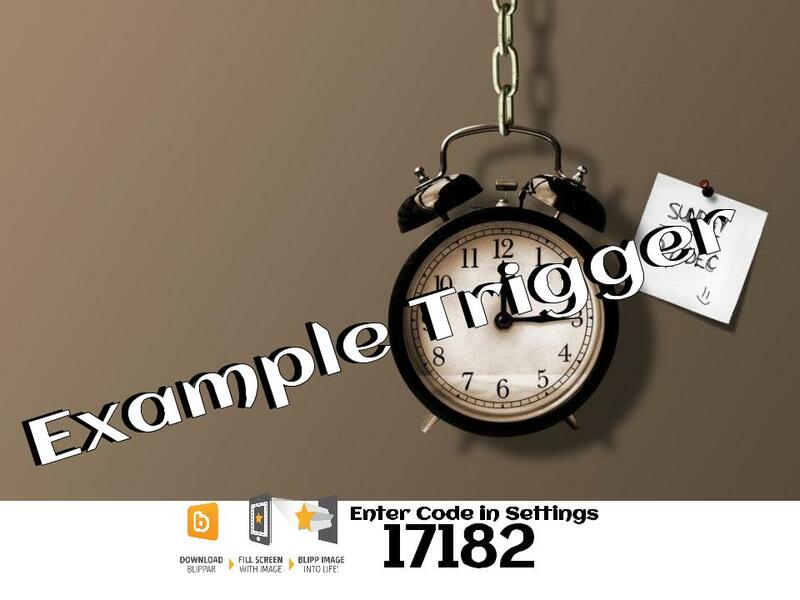 It is a set of augmented triggers, when scanned will lead you to the next clue. I created this augmented scavenger hunt using the BlipperBuilder. As I was building this scavenger hunt I thought it might also be a good idea to add an audio file of someone reading the clue for those that need to hear the next clue can. I can make changes to this scavenger hunt at anytime, so if you have any other ideas please let me know. 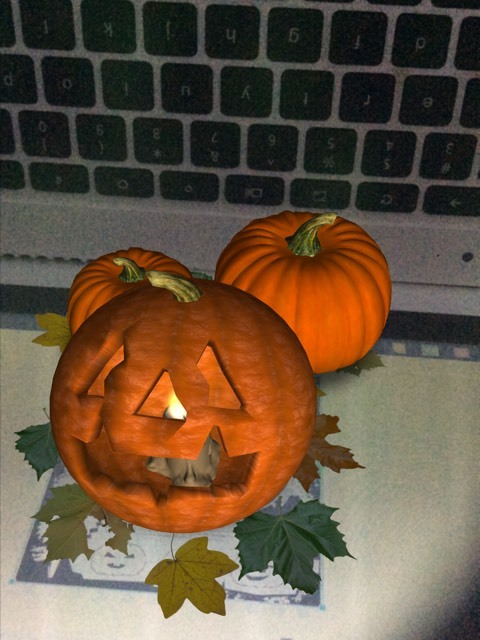 Even thought Halloween my be over the fun of augmented reality and changing how we view the world will never end. 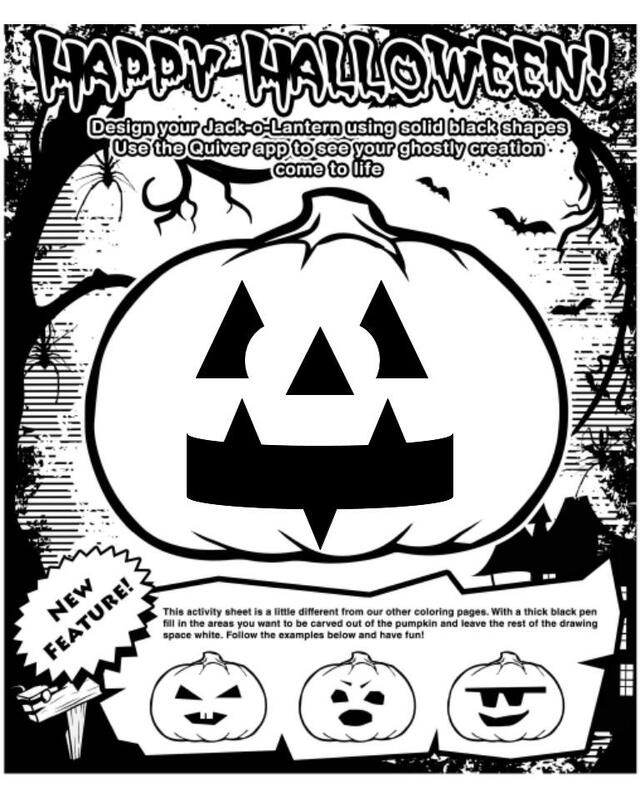 I love Quiver's new pumpkin carving page. This page is a great way to teach shapes, design, and creativity. I was traveling when I was notified about Quiver's new page and just had to try it. 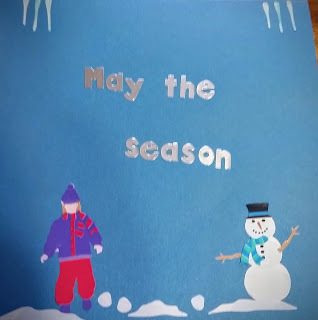 Since I couldn't print out the page I loaded it in Google Drawing and added my special design. I was blown away. This would be a great way to introduce vocabulary, math problems, a character, and so much more. The possibilities are endless. As a mom this would be a great way to hold the Wilson's annual pumpkin carving contest and turn their carvings into place mats. The kicker was not only seeing my design cut out on the pumpkin, but seeing the lit candle glowing inside. I did try it with words. 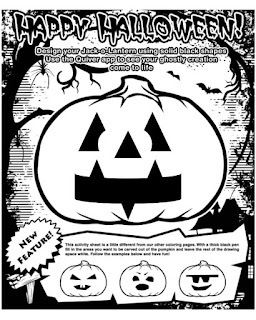 You do need to have very thick lines but the words did show up cut out on the pumpkin.